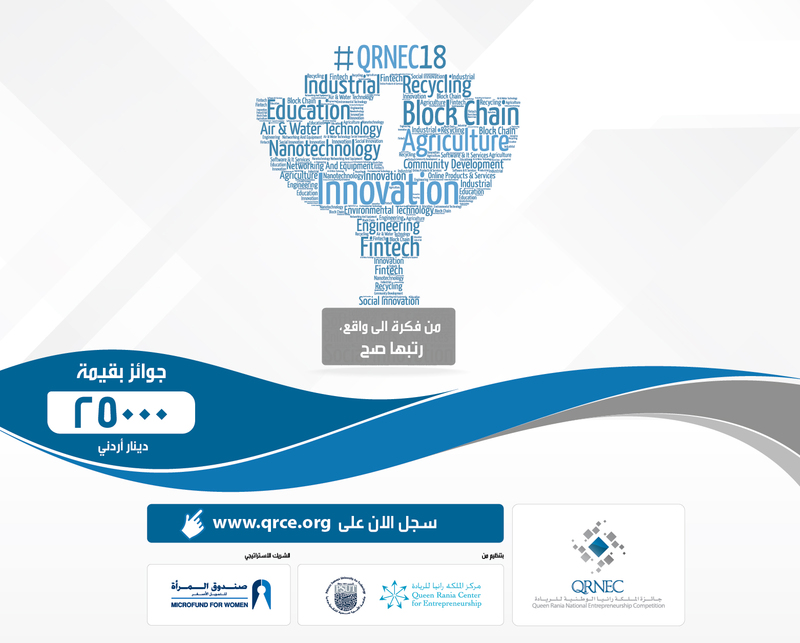 The Queen Rania National Entrepreneurship Competition (QRNEC) provides a platform to increase the interest of Jordanian entrepreneurs, innovators and national institutions in designing a path to achieve a well-developed entrepreneurial eco-system in Jordan. The program strives to advocate entrepreneurial skills as university students and mature entrepreneurs merge their knowledge with their resources along with their competitive drive to create a business plan that is both practical and innovative. This track will focus on an open approach in which the submitted business plans should target challenges in the Jordanian society and provide a technology solutions for those problems. In 2018 we will focus on the ideas of the university students and prestartups. Any university student or a prestartup with an idea that offers a service can join this category.